The best personal branding strategy using press release marketing is to leverage advanced positioning techniques. 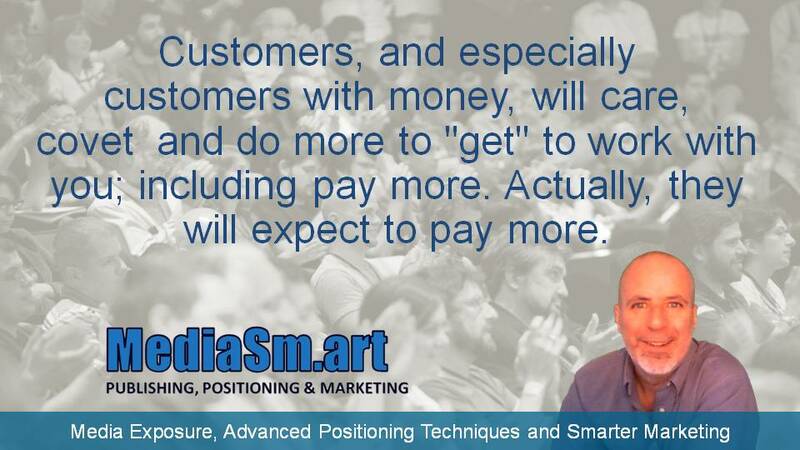 Every business owner, professional or wannabe can use this to benefit from positioning and improved status. So, what is positioning you ask? According to Wikipedia, “Positioning refers to the place that a brand occupies in the mind of the customer and how it is distinguished from products from competitors”. The key in that definition is “in the mind of the customer”. Technically, not just the customer, but prospects, leads and anyone else who knows of your personal brand, also. Let me try to communicate the “in the mind” part this way: Do crappy, ham and egg business owners often get in the news? No. Sometimes, I’m sure, maybe. But, not generally. That’s why your status is immediately improved in the mind of those who know you’re in the news. People believe, subconsciously or not, that business owners and professionals who are in the news are people who have done something newsworthy. I am speaking specifically about positive press, BTW. Press release can be used to counter negative press, but that’s a different post (let me know below if that interests you, I’ll do it sooner if so). So, “in the mind” of customers, if you are in the news from being newsworthy, then you must be good at whatever you do. And, people want to work with people who are good at what they do. That’s the best way to get the best results that your customers desire. Customers, and especially customers with money, will care, covet and do more to “get” to work with you: including pay more. Actually, they will expect to pay more. Press Releases for positioning is a great first step to achieving authority status and the benefits mentioned above. Let me be clear, the above benefits are enjoyed by those who, with the goal of building authority status, employ positioning techniques properly. If you slap a press release together announcing a new product or achievement, you’ll get very good results. But, you wont be taking complete advantage of press release’s marketing potential. If you want to completely leverage press releases, especially for positioning, you should have a professional help you. There are 5 types of press releases that I regularly use to leverage advanced positioning techniques. It’s another benefit to using my company for your press release writing and distribution. Although we provide multiple press release writing and distribution packages, my Authority News Release is the best press release service for positioning. It’s based off an interview with you and written by seasoned journalists leveraging advanced positioning techniques. Techniques that few other press release companies even know about, let alone use. So, if you want the best personal branding strategy; to be perceived in the minds of your clients, leads and prospects as their best and only choice, then my best advice is to visit, check out and order my Authority News Release. It’s the best authority positioning press release service available.